It is not breaking news that students are generally short of budget or out of pocket. Because exercise is an important element of a healthy lifestyle and contributes positively to your studies, we take a look at some inexpensive sport-options that won’t break the bank. Running and track sports are great to do socially – as a team or even on your own. Whether you like to take a casual run around the neighbourhood, join a track team or train for a marathon, running is a sport that needs little funding. You will require a pair of running shoes and some comfortable clothes to run in. There are also various benefits of running. As an impact sport, running is good for cardio-training and burns a high amount of calories! So why not tie up those laces and get running? Soccer is a great team sport that requires a lot of running as well as good hand-eye co-ordination. 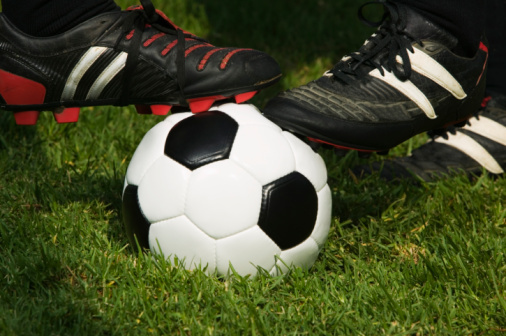 Often considered a social sport, many schools, colleges and universities have various soccer teams. You can always join a local club or just get a group of friends together. Whether you are playing field or indoor soccer, you will get a great workout without having to fork out large amounts of money. Depending on the kind of team you join, you will need a kit that generally consists of soccer boots, and comfortable clothing. Lace-up those boots and get active! Join your school, college or university’s swimming team or even your local swimming pool or a gym. You can choose whether you want to commit to swimming in a team or on your own. The only equipment you will need to get started is a swimming costume and a swimming cap. Sure, flippers would be nice, but it is no excuse not to get in the pool! Swimming offers you something no other aerobic exercise does: the ability to work your body without harsh impact to your skeletal system. So why don’t you make that splash? A good team sport, Netball is a non-contact sport and players have to be fast, strong and agile. A game puts considerable pressure on the body, with players having to make short sprints, hard stops, and twists and turns during the course of the match. You will require a pair of takkies and some comfortable clothes or a uniform (if you join a team). Although a non-contact sport, netball is still a fast-paced and intensive game, which will quickly boost your health and fitness levels. See, getting active does not mean breaking the bank! So try out some of these options and see which sport you prefer… it shouldn’t be long until you find something you enjoy!